Perhaps the main thing most people know about this Cornish seaside town is the old poem/nursery rhyme/riddle As I was going to St Ives. This anonymous poem was originally printed around 1730 – but in that version there were nine wives. The modern version, with seven wives, appeared in 1825. 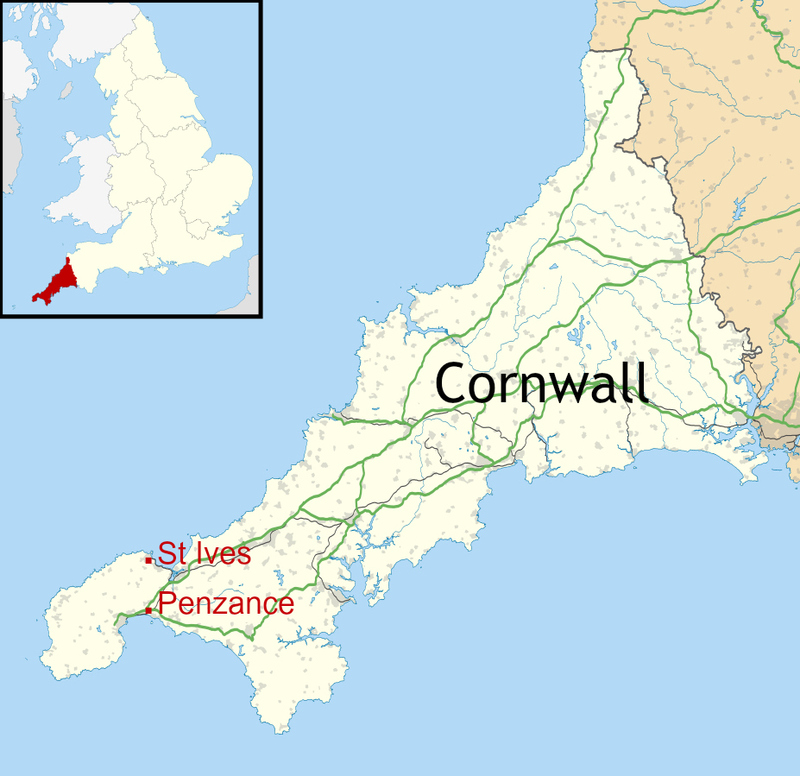 Although there are a number of St Ives in England and elsewhere, the poem is generally thought to refer to the one in Cornwall. The answer to the question in the last line is usually assumed to be that only one person is heading towards St Ives while the others – wives, cats or kits – are heading away from the town. But the poem gives us no indication of the direction in which the others are heading. It has been suggested that the person going to St Ives could even have overtaken the party as they were also heading to St Ives! This little video was uploaded to YouTube by Appuseries. I have to admit, I’ve never heard the poem sung before but it’s very sweet. We visited St Ives in June 2016 on the first whole day of our stay in Cornwall. It was the third site we visited that day, and we didn’t spend too long there, but we managed to take a few photos. For this post I’ve used several images from Wikipedia to illustrate places we didn’t get to see. Commercial fishing is very reduced today but the harbour is still in use, often for recreational boating and tourist fishing, and since 1930, people have been taking boat trips out to Seal Island, 3.5 miles/6km to the west of St. Ives. The island is home to over 40 seals. Today, St Ives has become primarily a seaside resort, renowned for its working harbour surrounded by beautiful beaches. The irregular coastline ensures sunlight on the different beaches throughout the day. 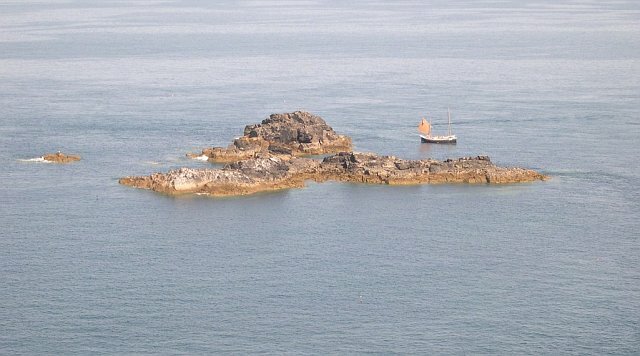 There are four main beaches, two on either side of ‘The Island’ which is also known as Pendinas. It is not an island at all but a promontory. On the photo below, taken from above Porthmeor Beach, the small Chapel of St Nicholas can be seen sitting on top of Pendinas. The one-roomed granite building was an ancient fort and has become a birdwatchers’ paradise. Of the four beaches, we managed to visit two of them, one on either side of Pendinas: Porthmeor Beach and the Harbour Beach. The town boasts art galleries, cafes, restaurants pubs and shops and is known for its quaint streets and alleys. There are also many old fishermen’s cottages we didn’t have time to see, as well and one of the four Tate Galleries in the world. After we’d spent time at Carn Euny and Land’s End, our visit to St Ives was pitifully short, but it was enough for us to get the general feel of the place. The platform at St Ives railway station. Author: Owen Dun Listed as ‘for any purpose’. Porthmeor Beach from the clifftop road. Then we headed across to the lovely harbour where lots of people were enjoying the June sunshine and the ever-present seagulls. On our second day in Cornwall we visited two more of the county’s most famous sites: Tintagel and the Gardens of Heligan. So my next post will be about Tintagel. Amazing Post Millie…thank you for the pics of the beaches. The poem in the beginning really created the mood to explore more about this lovely town. Thank ypu! Thank you, Shivangi. St Ives is a quaint old town and it needs a lot more longer than a couple of hours to do it justice. It was a lovely day when we were there, so we really enjoyed our walk round. 🙂 The poem is so well known, but I think the way it has been made into a song here destroys its natural rhythm. Thanks for giving me a proper introduction to St Ives. 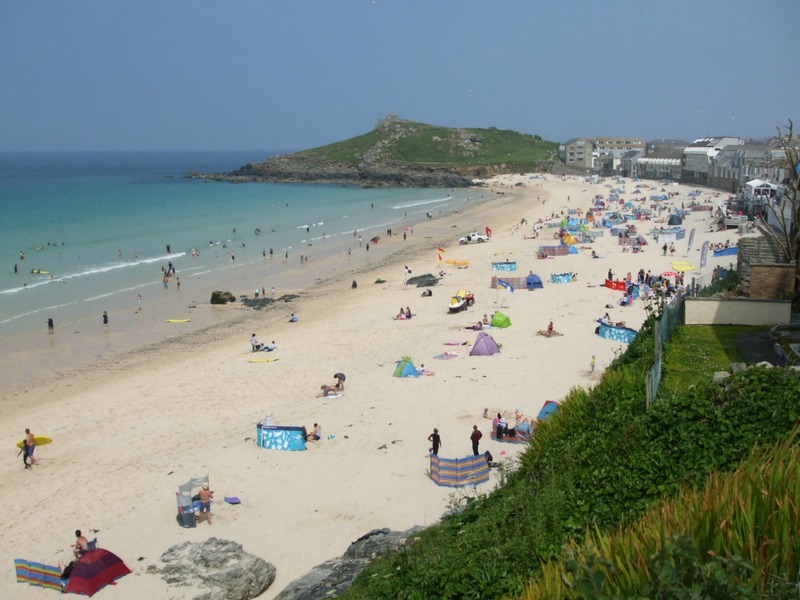 I remember going to St Ives as a kid – it was cloudy all around, but bright sunshine there! It must be something to do with being so sheltered in St Ives Bay – but whatever, it does seem to be quite unique. Looks like St Ives is a very popular seaside vacation spot. Which other seaside places are popular in UK? You’re right, Arv. 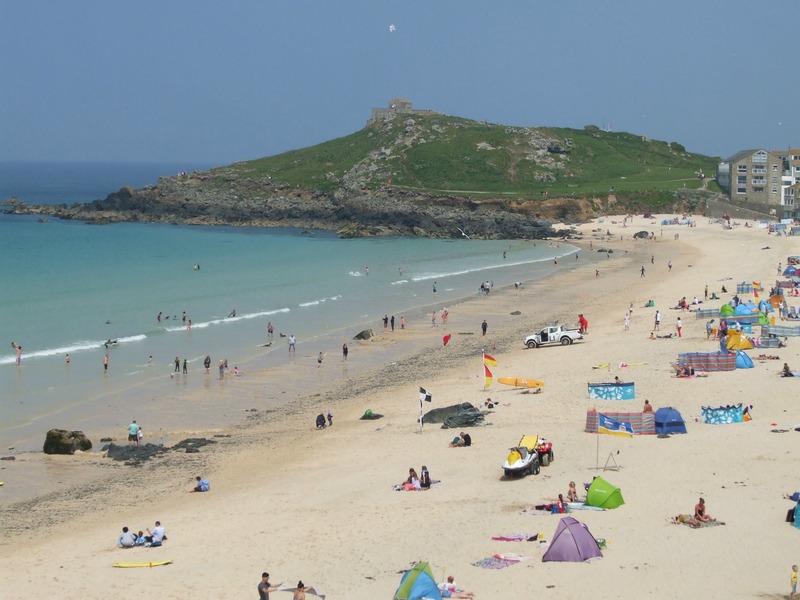 St Ives is one of the most popular destinations in Cornwall and it gets really crowded in summer. I suppose that gives it a nice holiday atmosphere but it’s very hard to find somewhere to park! Being an island nation, Britain has dozens of seaside towns, all over the country. They’re all different, depending on the geography of each stretch of coast. In Cornwall, much of the coastline is rugged cliffs, so beaches are very pretty with the cliffs and caves behind. Other parts of the UK have cliffs, too, of course, such as parts of South Wales and North Yorkshire. Some seaside towns are wide stretches of beach with sand dunes and pine woods behind, like my hometown of Southport in Lancashire. All have their own attractions, and some seaside towns (like Blackpool and Southend-on-Sea) are popular because of the fairgrounds, amusement arcades – and night life (which I’m sure they all have!). I dislike fairgrounds but children and young people love them – I know I did years ago. Now I just think they spoil the look of the seafront. Great to hear all those details. Since you mentioned, Goan beaches in Indiaare also popular among the charter tourists from UK during last many years. some say, that after the 2008 melt down, the number of tourists have come down. But plenty of sunshine, cheap accommodation and food, no language issues have ensured steady flow over the years. You’re right, I know lots of British people who’ve been to Goa and love it! If I get to India I want to visit historic sites and other notable places, but first we need to decide which part of India to head for. An amazing place, I love seaside so much. St Ives can be my favorite! I can imagine living there! St Ives is very quaint and a nice place to visit with or without the beaches, Joy. Beaches in the UK tend to get more family use than people wanting to sunbathe and get a tan. After all, we often have to wait for weeks for a nice sunny day suitable for going to the beach. Buckets and spades are the thing we see most on beaches here and people making sand castles. The sea is usually freezing and only the brave (and kids who don’t seem to notice the cold) venture into the sea – or odd surfers with wet suits on. When I was young, many beaches had people offering donkey rides, which all kids loved. Health and safety nowadays has generally done away with that. Let’s face it, donkey poo on a beach isn’t at all nice! But the idea of donkey rides has gone out of fashion, anyway. 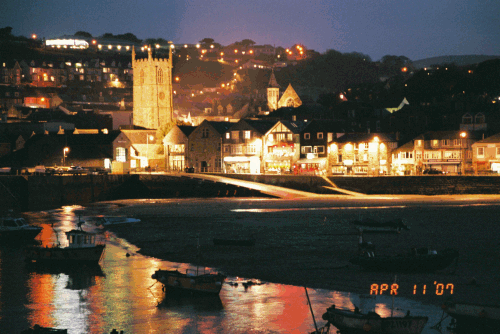 Beautiful pictures – I love St Ives! Thank you, Laura. St Ives is a pretty place. 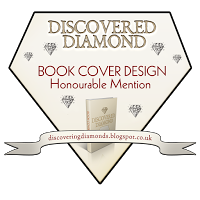 Unfortunately I can’t get to your site as it tells me ‘the authors have deleted it’. I am seriously thinking of going to St Ives, Millie. I can go by boat. Your posts are fantastic. Thank you, Inese. Sorry for this late reply, but I haven’t been on my blog for the past week. Our elder daughter has just undergone major surgery and ‘blogging’ has been the last thing on my mind. Oh Millie, I hope your daughter is recovering well. Sorry that you all have been in such stress lately. Prayers and good vibes sent. Now I can say I’ve been to St. Ives! 🙂 Delightful post, Millie. Thanks for sharing.